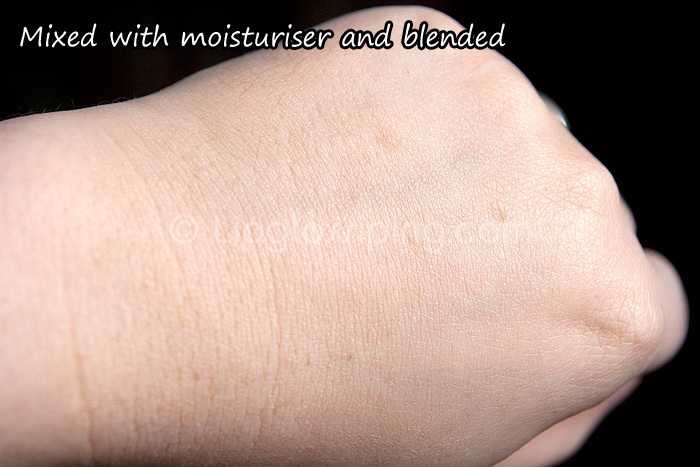 …Just mix into your favourite moisturiser for a natural tint or use on its own as a foundation. You can also dot a little around unsightly blemishes for effective coverage. With Summer nearly upon us, I wanted a tinted moisturiser. Well, I *thought* I wanted a tinted moisturiser. TM’s are an odd beast… we love them in principle, but in reality? We often crave more coverage. I envisaged that with LUSH’s Colour Supplement, I would be able to custom mix my tinted moisturiser… adding extra product on days when I wanted a more flawless finish. LUSH currently offer 4 shades. Light Pink, Dark Pink, Light Yellow, Dark Yellow. It’s not rocket science… and I like it that way. Except that Light Pink isn’t very light. And it’s not very pink either. If you go to the dictionary… and open the page at “light pink”, you’d see a picture of me. Otherwise? I like the product. 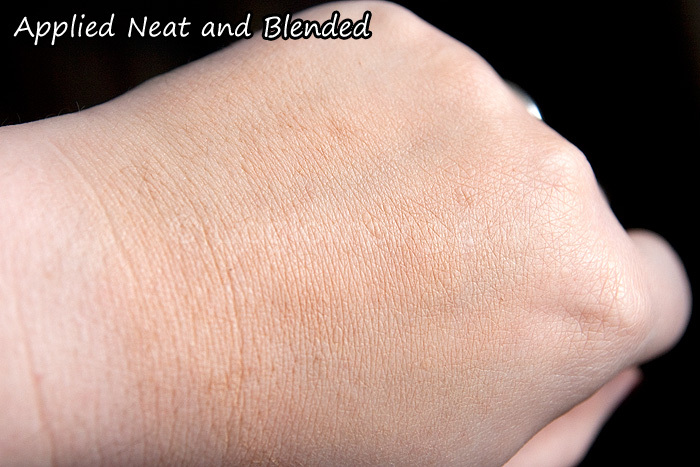 It’s too drying for me to use neat as a concealer or foundation as LUSH suggest, but I loved having the ability to self-mix my tinted moisturiser in the mornings. But sadly, the shades just aren’t right for me. LUSH Colour Supplements are priced at an incredibly reasonable £7.50 for 20g. That small pot will make a hell of a lot of TM. I noticed how dark these were which I figured wouldn’t work for my pale skin, I was obviously right. I wish they would add a white shade so we could mix up something lighter for the pale folk. I adore the color supplements, but I get the feeling it’s mostly because I am almost EXACTLY dark yellow. It’s really light and pleasant to wear for the summer, not to mention long-lasting. I set it with powder, it’s gives really excellent coverage without looking or feeling cakey or too heavy. Plus, it lasts! But I have to agree–the pink shades are awfully yellow. I dragged a friend to Lush to try them out only to discover exactly what you did–that the color really won’t match pinky / peachy / non-tanned people! I really like the light pink, but you’re right – it’s kind of a weird color. I wouldn’t dream of wearing it on it’s own or even using it as a concealer. I always mix it with a moisturizer and use it for a “light coverage” day. I tried this a while ago but I really didn’t like it – going on the advice of the sales assistant I went for dark pink (god knows why, my skin is sallow as hell!) – it was too dark and pink without mixing it with moisturiser, but mixing it with moisturiser gave far to little courage. thanks for testing! It will surely be much too dark for me as well. I really like the colour supplements. i have dark yellow and its a perfect match for me =). Where is supposed to be the PINK??? 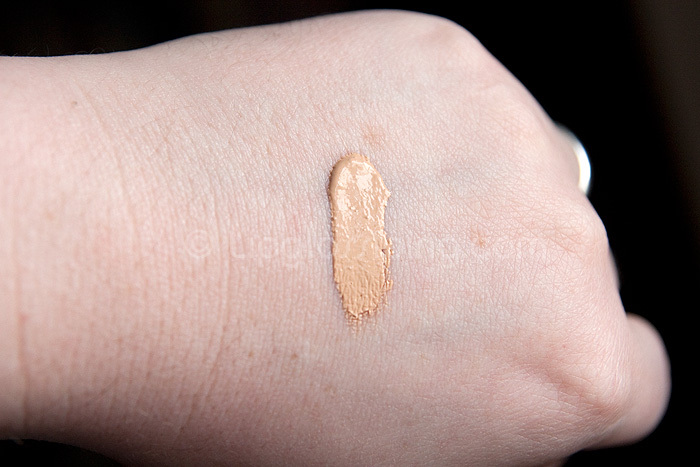 O_O that is the reason why I get so angry each time I have to search for a foundation… I am pale and I am pink. And like me, many other women. So where’s the problem in doing also pale and pink foundation??? I have to order my MAC NW15, because if I not pre-order it, I would not be able to find it! I recently bought this in Dark Yellow and I really like it! They’ve added a new colour called Jackie Oates now for us tres pale ladies (and possibly gentlemen) . Jackie Oates is a great colour supplement for us pale ladies… very, very fair, especially if you do mix it with your foundation. And great for sensitive skin too! Deal Alert: Get Closer to the beauty bargains with BuyaPowa! Photo Diary: An afternoon in Brighton! Deal Alert: Cheap hair styling tools online at Tesco! CLOSED: Competition Time: Givenchy Very Irresistible L'eau en Rose Perfume! Win a gorgeous "glow" trio with prizes from Urban Decay, New CID, & Arbonne! Hello? Is this thing on? Big savings on French Pharmacy brands, win my Escentual.com top picks! Win it! 3 EcoTools Bamboo Bronzer Brushes to win! FOTD Busting out of the comfort zone! A Makeup & Beauty Blog – Lipglossiping	- A girl with too many lipsticks. And a blog about them. All content ©2009-2012 lipglossiping.com - all rights reserved.